Microsoft just upgraded you to 15GB of free OneDrive storage 5 Smart Ways to Customize & Improve OneDrive in Windows 8.1 5 Smart Ways to Customize & Improve OneDrive in Windows 8.1 OneDrive can be a blessing or a curse. It's deeply integrated into Windows 8.1. You'll either want to get the most of it or disable it completely. We can help with both. Read More ; there’s room left in your Dropbox; you didn’t fill up Google Drive yet; and spare USB flash drives 5 Uses for a USB Stick You Didn't Know About 5 Uses for a USB Stick You Didn't Know About We’ve all used USB sticks to transport files between computers and back up our files, but there are other cool things you can do with a USB stick. Read More are piling up on your desk? What are you going to do with all that wasted storage space 10 Ways to Use Your Cloud Storage That You May Not Have Thought Of 10 Ways to Use Your Cloud Storage That You May Not Have Thought Of When we talk about cloud storage, it usually revolves around backup and collaboration. So, let’s try to find some more interesting ways to fill up all the space they give us for free. Read More ? How about “outsourcing” applications to this cloud space or to an idle USB flash drive? 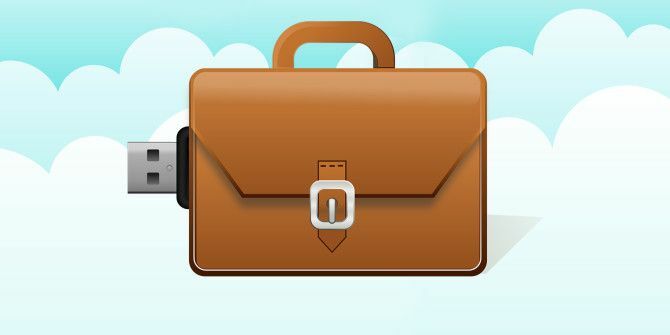 Portable apps come with many advantages, some of which we will highlight in this article. Syncing data between multiple devices How To Keep Your Files Synced With SkyDrive In Windows 8.1 How To Keep Your Files Synced With SkyDrive In Windows 8.1 Storing data remotely and syncing them across devices has never been so easy, especially if you're using Windows 8.1. SkyDrive received a significant update, improving its integration with Windows and adding interesting new features. Read More is awesome. But you still need to install software to access the data. What if you treated computers as access points to your apps and data? Instead of having to customize each device you use with the software you need, just keep your applications and data in the same location, e.g. an external USB drive 4 Ways To Use a USB or External Drive Like Your Own Mobile Computer 4 Ways To Use a USB or External Drive Like Your Own Mobile Computer Read More or in the Cloud, and access them from any PC. Windows 8 can already do that to some degree, provided you use a Microsoft account 5 Security Tips to Consider When Using a Microsoft Account 5 Security Tips to Consider When Using a Microsoft Account You can't use much of the new Windows 8 user interface without a Microsoft account. The account you for logging into into your computer is now an online account. This raises security concerns. Read More to log into your Windows computer and sync your settings via OneDrive How To Sync Your Windows 8 Settings Via The Cloud How To Sync Your Windows 8 Settings Via The Cloud Logging into your Windows 8 computers with a Microsoft account enables access to the Windows Store and other Modern apps, but it's also used to sync Windows 8 settings with the Cloud. Your settings will... Read More . If you haven’t upgraded to Windows 8 yet or want to sync desktop software, you can instead sync your portable apps and data. Portable apps don’t need to be installed to your system and thus require no administrator rights, meaning you can run them on almost any computers. That said, EXE files may be blocked on library or work computers and we recommend respecting these settings. The beauty of portable apps is that because they work without installation, they also leave almost no trace. Most portable apps do, however, write data to a TEMP folder and may thus be blocked by an antivirus. You can easily create batch files Batchrun: A Free Program To Create Batch Files Batchrun: A Free Program To Create Batch Files Read More using Batchrun. While the TEMP folder is necessary for most portable apps to run, they delete those files as soon as you close them. By storing your favorite apps and data on a USB flash drive How to Optimize Data Transfer Speed to and From External Drives How to Optimize Data Transfer Speed to and From External Drives Do you have a short fuse? Transferring data between a PC and external storage is a common task and slow transfer of files can be extremely frustrating. Fortunately, you can easily improve transfer speeds. Read More , you can literally carry your digital life in your pocket and turn any computer into your personal space. You can use a spare USB stick or invest in a fast USB 3.0 flash drive 5 of the Fastest and Best USB 3.0 Flash Drives 5 of the Fastest and Best USB 3.0 Flash Drives Which are the fastest USB 3.0 flash drives you can buy? Here are five of the best, ranging from $20 to $200. Read More . USB drives have come a long way; storage sizes have increased significantly, while the form factor remains compact, and price per storage unit continues to drop. It’s too bad that portable apps do not run on Android or iOS because you’re probably carrying that in your pocket already. You can, however, use your phone in USB drive mode and run portable apps off of it. 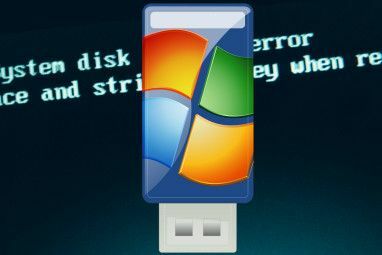 If you want to go all the way, you could even run a portable version of Windows from your USB drive. You don’t need physical storage space to hold your portable apps. Anyone can get free virtual storage space in the Cloud How To Get The Most Free Space On Dropbox, Box, SkyDrive & More - The Complete Guide How To Get The Most Free Space On Dropbox, Box, SkyDrive & More - The Complete Guide Cloud storage services offer a minimum amount of free space to everyone who signs up, but you can often get more. You can upgrade your cloud drive with gigabytes and gigabytes of free space in... Read More . After securing your share and dropping your apps, all you need to access them is a browser and the password in your head. Where To Find Portable Apps? MakeUseOf has compiled a list of portable apps that we consider the best. While you can download and install a selection of individual apps, you can also go with the NirLauncher package or the platform from PortableApps.com, which functions as a start menu for all your portable apps 3 Ways the Portable Apps Platform Will Make Your Life Easier 3 Ways the Portable Apps Platform Will Make Your Life Easier Portable apps have a huge place in my geeky heart simply because they are quite numerous (if you don’t believe me, check out the Best Portable Apps here). They don’t modify the registry, and can... Read More and lets you download new apps. If a portable version of your favorite app does not exist, you can also try to create your own portable apps with tools like Cameyo. Are Portable Apps All You Need? Most of us already live in the Cloud, which is why Google Chromebooks work so well. Some tasks, however, are easier done with “proper” tools. Portable apps offer an alternative to installed software. 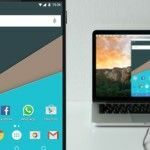 Which non-portable programs How To Easily Create Your Own Portable Apps How To Easily Create Your Own Portable Apps Read More are irreplaceable and under which conditions do you prefer portable apps? Explore more about: Cloud Storage, Portable App, USB Drive. I have been using portable apps for many years, both on a usb stick and on my computer. Another great launcher is CodySafe. It is very similar to the PortableApps launcher, but seems a little more flexible when comes to using portable apps from sites other than PortableApps.com. Many Portable Apps will run in Linux under Wine. I've been using portable apps for about 2 years. Definitely a lifesaver, when it comes ease of use: just plug your drive, open the app, and done. in my opinion, Cameyo is no good, the portable file created by it is too large; try Universal Extractor instead, the tool itself is portable, it's easy to use; i use it for my free software and games. Why are there actually apps to be installed if the advantages of portable are so clear? For years before I retired, I used Portable Firefox with all my favorite extensions installed so I could function effectively on the school network. I also found there were quite a few times Microsoft Office was unable to handle 'corrupted' Word or Excel files so I saved many a student's day with my portable Open Office. I always have a copy installed even today on my portable hard drive of all my favorite portables. One of my favourite things about Portable Apps is that I don't have to pester the IT folk at work, get approvals, and wait to use the program I want to at work. It's the best. What are the tools you carry around as portable apps to use at work? 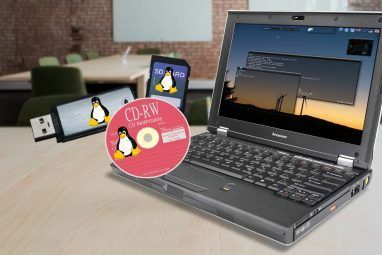 I used to carry a usb drive with portable apps, but now I have a linux usb drive and (for me) it's much better -must of those apps are open software, so you'll fine them at any linux distro. Curious, for those who travel and use portable apps... do most all computers at internet cafes, hotel lobbies, libraries, etc. allow you to stick in a USB and run programs -- even if these programs don't need to be installed? A portable version of LibreOffice, for example? I am curious whether this is widely available -- or a real "hit or miss" thing? Thanks. This is definitely a hit and miss. Before I took my laptop everywhere, I've worked from various libraries, Internet Cafés, hotel, and hostel computers. Some permitted installation of software, others were completely locked down. My guess is that as public awareness about digital / Internet security is increasing, which I think it is, the trend is more towards locking computers down. There is also another portable apps provider, "Liberkey.com". There's also PenDriveApps.com, PortableFreeware.com, and about a dozen others; the nice thing about PortableApps.com is the launcher, which doesn't *need* to be on a USB device, and updates apps automatically. The portable apps work just fine on any PC, and I can copy my settings from my main PC to my laptop and back with no problems. Yes, it's a good idea to look beyond PortableApps.com for finding portable apps. Thanks for the tip regarding the INI file and registry key. @Tina S: The nice thing about PortableApps.com is its launcher, which can install new apps as well as update existing apps as soon as they're updated on the site.